John Lewis is to launch its first technology startup incubator – JLab. The retailer is hoping to find new ways to help customers shop across channels, simplify their lives using the internet of things and to use data for in-store personalisation. As part of the retailer’s 150th anniversary, it will choose five startups to take part in the programme over the summer. While at JLab, startups will develop their products, supported by a team of John Lewis leaders and external mentors. 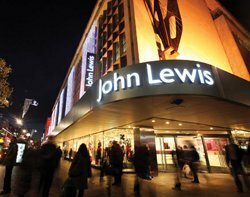 John Lewis hopes to pick a winning IT solution from the JLab attendees, which it will trial over its retail estate. • Helping customers shop: in-store innovation, omni-customer experience (for example, self-service product info, prices) and technology-driven customer inspiration. • Simplifying customers’ lives: innovation around the internet of things (how all devices will communicate together, enabling a more connected home). • Knowing each other: using data to drive real-time, in-store personalisation for customers. Startups wishing to apply to be part of JLab should go to www.jlab.co.uk. The application process starts on 3 March 2014 and closes on 17 April 2014. The programme follows on from John Lewis’s investment in startups through the Great British Innovation event and Partner Innovation Technology Challenge (Pitch) it held in 2012 and 2013. John Lewis has partnered with entrepreneur Stuart Mark to create the incubator. “We know about stores and retail technology, but we don’t know about incubators,” said Coby. Mark founded his first business in 1990 and has spent a lot of his time developing businesses in big data, including the predecessor of the Sainsbury’s loyalty programme, Nectar. One of the areas the incubator will focus on is using data to drive real-time in-store personalisation for customers. Coby said John Lewis launched its first loyalty card last October, about a year behind Waitrose’s loyalty scheme, which used similar methods. “The last I looked we were up to 400,000 customers who had used it,” he said. John Lewis is also leading the way in omni-channel retailing by trying to seamlessly connect its customers in-store, online and on mobile devices. He said it’s all about learning how to use data to make this experience better for customers.